Sy Hoahwah is Yapaituka Comanche and Southern Arapaho. He is the author of Night Cradle (USPOCO Books, 2011) and the poetry collection Velroy and the Madischie Mafia (West End Press, 2009). He is working on a new collection, Ancestral Demon of a Grieving Bride. He resides on the outskirts of Little Rock, Arkansas. Sy Hoahwah is a terrific poet! 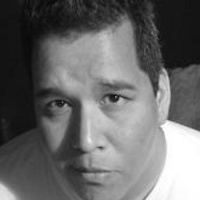 You can find some of his poems online in the June issue Poetry magazine which was devoted to Native poetry. He's starting to get a lot of attention.